Each year, customers eagerly await the return of Cafe Bernardo’s infamous Butternut Squash Soup. 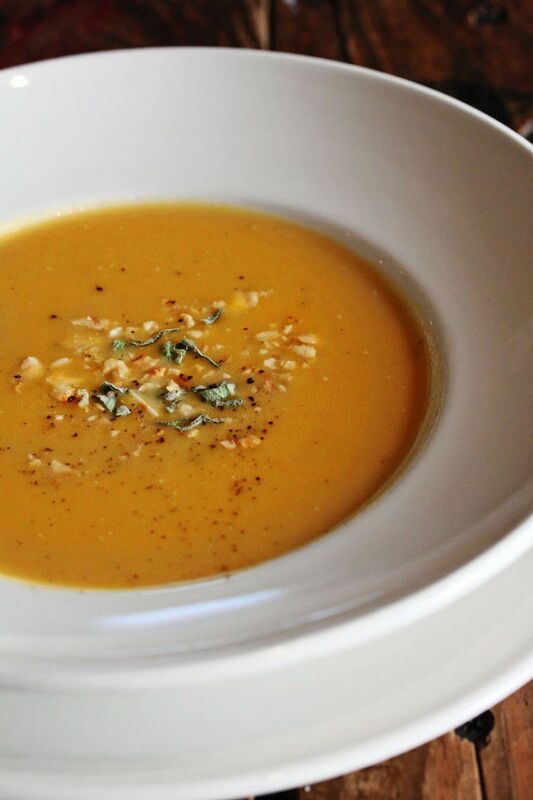 It’s the perfect soup to enjoy with some fresh bread, a sandwich or a salad. It’s also delicious when accompanying holiday leftovers …which we’re sure you have plenty of from yesterday’s Thanksgiving festivities! Cut the squash in half lengthwise and scoop out the seeds. Place the squash, cut side down, on a parchment lined baking sheet and bake at 375 degrees for 30-45 minutes or until the flesh is tender when pierced with a fork. Heat the butter in a soup pot and add the onions, sage, garlic, and thyme. Cook the onions until they begin to brown a little around the edges-about 12 minutes. Scoop out the squash from their skins and add to the pot. Add the water or stock and cook for 25-30 minutes. Season with salt, sugar, maple syrup, and grated nutmeg. Blend the soup with the cream and check seasoning. If soup is too thick, thin by adding more water.